Visit stand 28 and get a FREE copy of ZenWise Feng Shui book. A Real Feng Shui Master is rare. A Great Feng Shui Master is rarer. In the old days, they have been the teachers and advisers to the emperors and kings of China. ZenWise has guided many, many students and clients consciously and concretely realising a more fulfilling life. “The work started to flood in. I am now having a very restful sleep. The work has been regular and ongoing. In my profession, work like this is quite hard to come by." 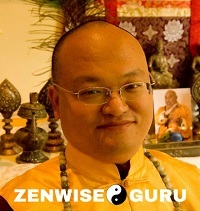 Visit ZenWise.Guru to learn more success stories.